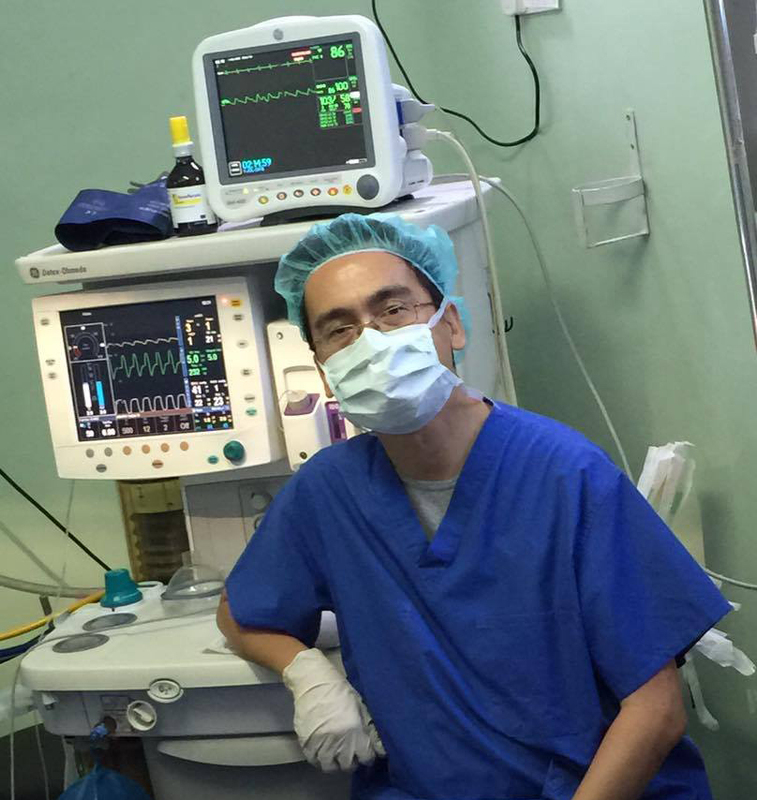 Dr. Reynaldo Soria, Jr. is an anaesthetist by profession and has been a veteran member of MSF. He has recently returned from a six month mission to Jordan and is now back at home with his loved ones in the Philippines. Just five kilometres away from the Syrian border is the busy Ar Ramtha hospital in Jordan where Médecins Sans Frontières (Doctors Without Borders/MSF) runs an emergency surgical department. The patients treated by MSF’s teams are often in a very critical condition, with the team frequently seeing people injured by the war in Syria, soon to enter its sixth year. “The injuries we saw in Ar Ramtha hospital were really intensive, I could see from the patients I helped to treat that Syria is in a very serious war. I have seen the impact of conflicts in Afghanistan, Pakistan and South Sudan but the injuries sustained by our Syrian patients were so severe - it usually involved a large segment of their bodies. If they survived the first surgery, they often required subsequent operations. We did surgeries every morning, afternoon, at night time, even at dawn the following day. I was often the person who stayed in the hospital for the longest hours because I had to work not only in the operating room, but in the emergency room, in the high dependency unit, the ICU and many others. Sometimes I just went home to take a shower and would return to the hospital to work. Every day, I only had between three and four hours sleep and I could be called into the hospital at any moment. MSF also supports 14 small field hospitals in the nearby governorate of Daraa, just over the border in Syria. We send medical supplies and medicines so the hospitals can continue their life-saving support to their fellow Syrians. However, the scale of the war is just too big; their capacity can easily be overwhelmed by the number of wounded patients. They could only do basic surgery and only based on the limited resources they have had. There were also patients who developed complications which required highly specialised care in Jordan. So Ar Ramtha hospital served as one of the referral hospitals for critical trauma patients. But not all patients were successful to cross the border for medical emergency. Patients accessing the border aiming to enter Jordan for health care are normally screened by border authorities and only those patients who cannot be treated inside Syria would normally get access. War-torn Syria is so close to Ramtha that we could hear the bombs whenever they were dropped. The sound of bombings and explosions were reminders to us medics to be ready for influx of patients from Syria in the next 15 minutes. One patient I attended to suffered from an intensive injury caused by a bomb blast. The image of her was the best way for me to describe the impact of war. Though she sustained severe multiple injuries and underwent many surgeries, she was kept in a fairly stable condition for five to six weeks until she passed away due to complications. I noticed that she had a smile in her face when she was pronounced dead – maybe she smiled because she knew she would finally be free of suffering. On the medical side, I saw the effects of war on the human body by the injuries people sustained. But I also thought about the Syrians who were constantly running to safety. Even those who have not suffered physical injuries must be suffering tremendously. Having an amputated leg is a reminder of the brutality of the war. Being forced to flee your home and have your life turned upside down is another mental anguish faced by many of our patients. Mental health support is an integral part of the healthcare that MSF provides. We also help our patients who are unaccompanied children or those who have been orphaned by reuniting them with their family or relatives in Jordan’s Zataari refugee camp or with members of their family living in neighbouring countries. One example was a 14-year-old child patient and was reunited with his relatives in Turkey six months after staying in the hospital. For some patients, no trauma will stop them going back to their family in Syria. One 18-year-old boy arrived at the hospital unconscious with aspiration pneumonia and stayed in the intensive care unit (ICU) for some time. When he finally woke up, we fitted him with a prosthetic leg. He went for physical rehabilitation, coped emotionally well and interacted well with other male patients in the ward. Five months later news came that another bomb had claimed the lives of his siblings. In spite of his mother’s plea that he should remain outside Syria, he was completely resolute that he should go home. As a doctor, my first reflex was to take care of the physical well-being of my patients, to keep them alive. I just wanted to drown myself in my work so I didn’t have time to reflect or become depressed by the suffering I saw every day in the hospital. When I came home and saw my loved ones I thought about how lucky I am not to live in a country that is at war. Imagine being helpless like many of the refugees now?